Will Mendelsohn is a modern-day Darwin whose first book on extinction has made him a great success. To get underway with work on his follow-up, he sets off on a worldwide research trip. He makes a special visit to Assam, a state in northeast India, so that he can spend time with his mother's friend Mim, a Holocaust survivor in frail health. But once he meets Mim's enigmatic neighbor, a married expatriate screenwriter named Grace Tagore, Will's brief stop turns into an extended stay. As the two are drawn by their haunted pasts into a transformative affair, Assam erupts in political turmoil, setting off an irrevocable chain of events that forever alter their lives. 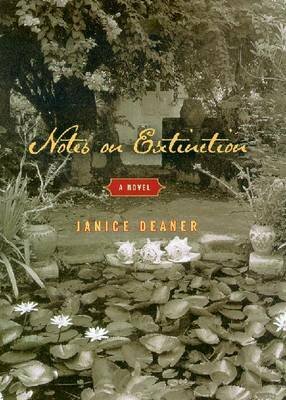 With a remarkable gift for language and storytelling, author Janice Deaner pens a novel of extraordinary depth and power, where amid the lavish tea gardens of a beautiful yet strife-ridden India, a compelling story of romance, friendship, and self-discovery brilliantly unfolds.